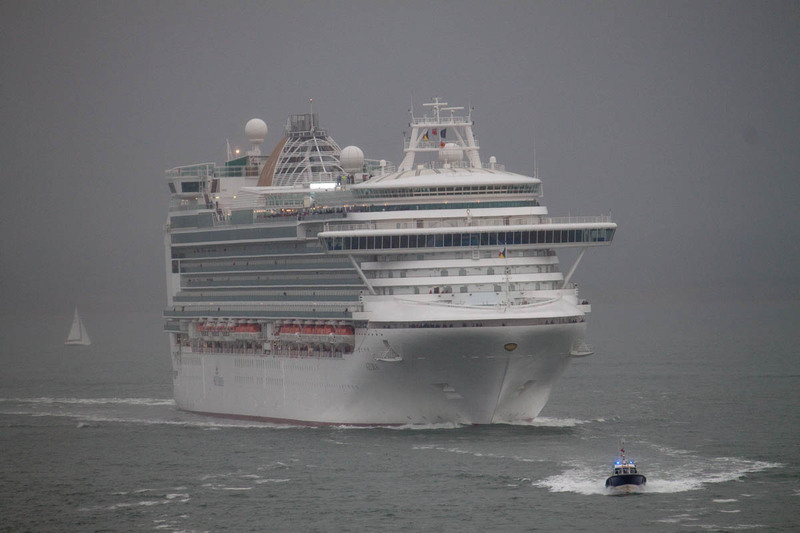 Azura – in stormy seas? I’ve read some stories that Azura has had some of her 2015 cruise dates changed. The cruises affected seem to be A508, A509, A510, A511 and A512. The main changes are to A509 to A512. In the 2015 brochure these cruises were scheduled to start on Saturdays in May: 2 May (A509), 9 May (A510), 23 May (A511) and 30 May (A512). Now, they have apparently been switched to a Friday departure – that is, they will be starting one day earlier than was published in the brochure. A509, A510 and A511 will also be finishing a day earlier than published, also on a Friday. A512, which was originally a 2-night cruise will now become a 3-nighter, thus finishing on the originally-planned date. To accommodate the earlier start to A509, A508 seems to have been cut to 12 nights, thus finishing a day earlier than planned. Cruises from A513 onwards are unaffected. Apparently some people on these cruises have received letters from P&O advising them of the change. The revised schedules also have new numbers – A510N, etc. The change of dates is certainly causing problems for some passengers. A511, for example, was a 7-night cruise to the fjords, departing on Saturday 23 May. Coincidentally, that happens to be half-term week for many schools. Passengers are now being told that the cruise will start on the previous Friday. This will of course be in term-time, and the passengers are arguing that they would not have booked the cruise had that been the date in the brochure because it would mean taking their children out of school (a big No-no these days, of course). P&O, however, have caused consternation by responding to telephone queries by saying that these passengers will not be able to cancel without losing their deposits. If P&O Cruises makes a significant alteration to the Package it will inform the Passenger or his travel agent as soon as reasonably possible. The Passenger will have the choice of either accepting the alteration, accepting an offer of an alternative Package of comparable standard if available (P&O Cruises will refund any price difference if the alternative is of a lower value) or cancelling the Package and receiving a full refund of all monies paid. So it depends on the interpretation of the phrase “significant alteration”. Personally, I would have thought that a change in departure date might well be a significant alteration, though I suppose it also depends on personal circumstances. For a retired couple such a change a year away might well make very little difference, but in the case of a working couple with children,who have carefully planned their cruise to fit with school holiday dates, or who have to get holiday dates agreed dates well in advance, it could be very significant indeed. Let’s hope P&O change their stance a bit on this.